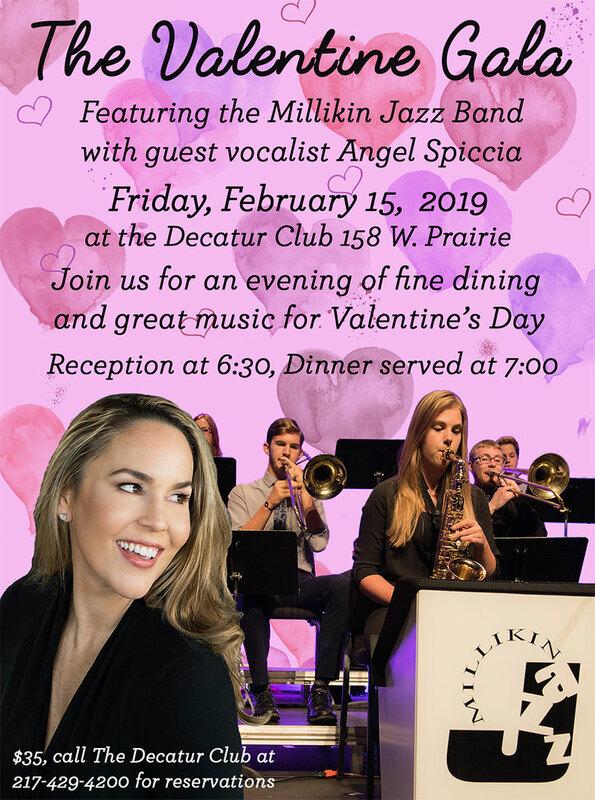 On Friday, February 15th, the 2nd Annual Valentine Gala will be held at the Decatur Club (158 W. Prairie) featuring the Millikin Jazz Band with vocalist Angel Spiccia. A reception will be at 6:30, with dinner served at 7:00. Reservations are available by calling the Decatur Club (217-429-4200). For more information, contact Randall Reyman at (217) 433-4240.